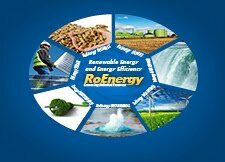 ENREG ENERGIA REGENERABILA®, the biggest trade fair on renewable energy and energy efficiency in construction and renovation in the euro-region Danube-Cris-Maros-Tisa comes back between the 6th - 8th of March 2013, at Expo Arad International. The trade fair brings together also this year, experts and key persons from the field and increases the common interest of Romania, Hungary and Serbia for the renewable energy and energy efficiency. The event includes the trade fair, forums, workshops and conferences. Romania is the most attractive country in eastern Europe regarding the renewable energy. It represents a business opportunity, both for big investors and also for local entrepreneurs with limited resources. Romanian Government encourages renewable energy production through the mandatory quota of green certificates acquisition. Among the exhibitors of the fair are both national and international companies, from 10 countries on 2 continents. For the first time, in parallel with ENREG ENERGIA REGENERABILA®, REECO intends to organize PV Platform Romania, the no.1 meeting point for PV sector in the euro-region Danube-Cris-Maros-Tisa, which will host the 2 days conference and workshop, 6th-7th of March 2013: PV Platform Romania - Changes & Risks. The 2 days conference will cover topics as: PV Market in the European Union; PV Technology for the Future; PV Market in Romania; Legal & Financial Framework for PV Power Plants in Romania. The trade fair has the support of partners as IPA, Romanian Small Hydropower Association and Romanian Association of Electricians and so far is sponsored by by 7 major companies in the solar energy: ET Solar, Hategan Low Office, IDEEMASUN, Meca Solar - Proinso, Producție Energie Verde, Rödl & Partner and Solanna Investment. The international trade fair expects you also this year with topics like: solar energy, biomass, hydro energy, wood energy, heat pumps, geothermal energy and energy efficiency in construction and renovation. Among the exhibited objects and equipment by exhibitors at the fair are: solar panels, inverters, hydro turbines, biomass boiler, boilers and others. Several accompanying conferences and forums with topics of renewable energy and energy efficiency will take place in parallel with the fair, where public authorities, associations, scientists and companies will present trends, results of research, technology and innovation in their field. The 5th edition of the conference Biogas Production Technologies and their Importance for Sustainable Development will be organised on the 7th of March 2013. At the conference experts in the field will present topics as: Biogas - Economic and Business Driver of the Future; EU Projects, Border Cooperation & International Markets; Research, Development, Practical examples.. In the framework of the 5th International Conference - Wood Energy in Romania, topics like: Ways to purchase and introduce wood biomass on the market-technologies and alternative treatments for Romanian forests; Financing small and medium power generation projects using biomass; Barriers in the use of biomass to produce energy: environment & current use of biomass (agriculture, wood processing industry) and many others will be discussed. The 5th National Conference: Small Hydropower in Romania - Present and Future, organised in collaboration with the ROSHA, will present topics as: SHP legislation; Minimizing environmental SHP; Experiences of investors, developers, manufacturers and suppliers for SHP equipment and others. Parallel to the conferences side events including the workshop: IBEF - International Business Exchange Forum will accept the participants for free. For more information about ENREG ENERGIA REGENERABILA®, you can visit the trade fair's website www.enreg-expo.com.